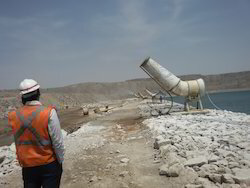 Offering you a complete choice of products which include waste water mist evaporator unit, waste water evaporator misting system, waste water mist evaporator 24kld, waste water mist evaporator, psychrometric evaporator and waste water mist 2kld/hr. 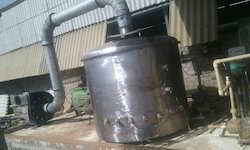 Waste water mist evaporator unit with strainer and pump alongwith high pressure jet to avail high percentage of water Evaporation which is highly use for CETP to cater the current market. 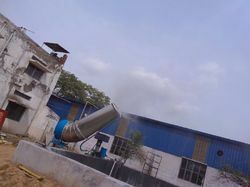 Our renowned company is considered amongst the prominent manufacturer, trader and supplier of Waste Water Mist Evaporator. Our given mist evaporators have high capacity fan that creates high static pressure to evaporate pure water from the effluent. 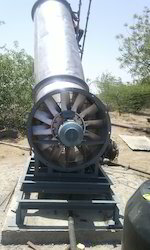 The mist evaporators provided by us are accessible on varied specifications as per the needs of customers. These mist evaporators are inspected on numerous quality parameters by our quality controllers for delivering flawless range. Keeping track of the latest market developments, we are introducing a precisely engineered range of Psychometric Evaporator. Our given evaporator is perfectly tested on assorted parameters to ensure its flawlessness. This evaporator is developed from best in class components under the observation of skilled professionals keeping in mind quality norms. 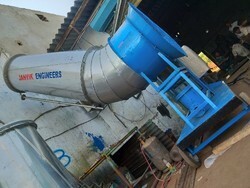 Customers can avail this evaporator at industry leading price in a stipulated time frame.